featuring historic partnerships that reach across Canada. Coming off of a successful 2017/18 season which saw Obsidian partner with Cahoots Theatre for the World Premiere of Other Side of the Game by Amanda Parris, and a compelling Canadian Premiere of hang by debbie tucker green, the company surges forward into its most ambitious season yet. 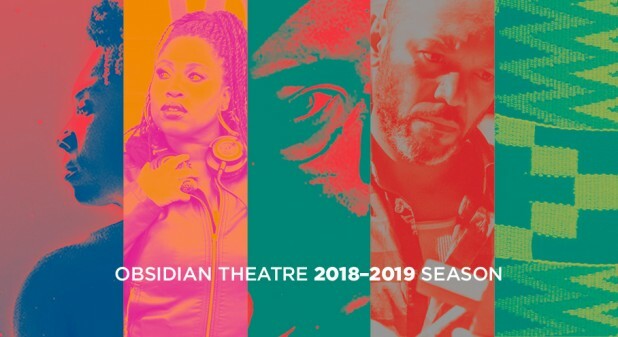 Thanks to the wonderful increase in support from the Toronto Arts Council, Ontario Arts Council and the Canada Council for the Arts, Obsidian’s 18-19 Season will be our largest one yet. Join us for a rich, full, wide ranging year of exciting Black theatre.